I was invited to a baby shower this past weekend for a sweet friend I used to work with. I looked at her registry and saw all the classic requests bottles, diapers, socks and more, blah, blah, and blah. There is no way this is not going to sound selfish, but a baby shower for me… is just one more opportunity to bust out an adorable baby knit. So I ran to the store picked out some fabulous colors for this sweet baby boy and got to work. 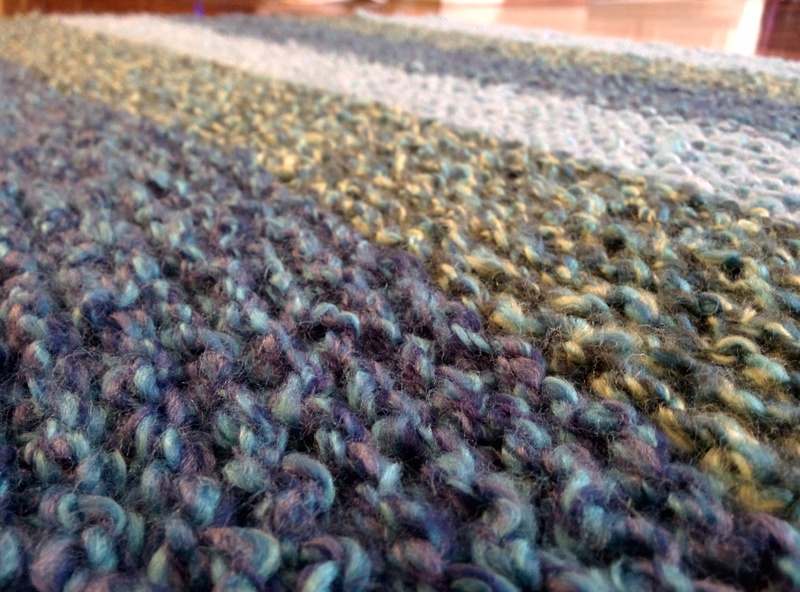 I went with Loops & Threads Country Loom in Solarium, Rich Blue, and Ocean Tide. I got one skein in each color and used it up completely. 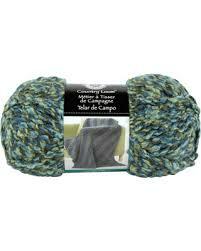 I have used this yarn several times and I really like it. It is very soft and can be machine washed and dried. Which let’s be honest is important for baby blankets as they are always getting dirty. 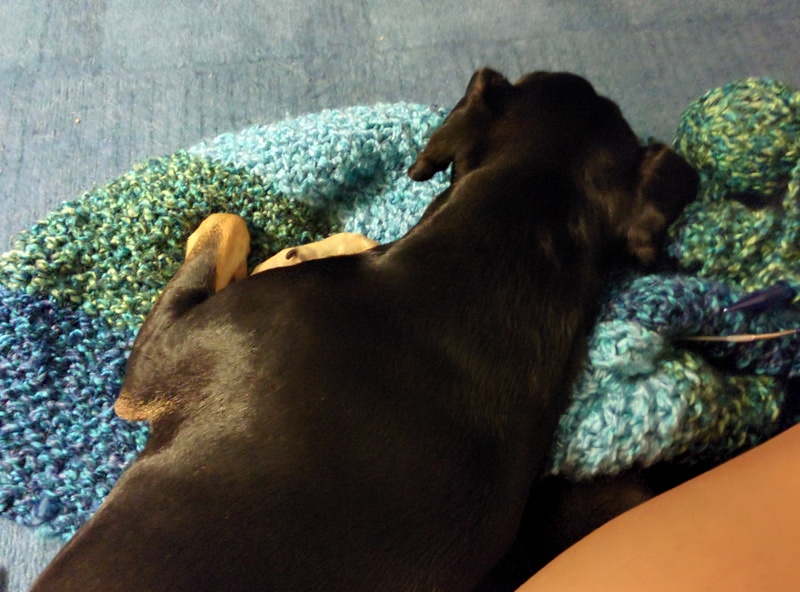 It’s also a nice in case there are any pets in the home, as it turns out most are obsessed with anything knit. 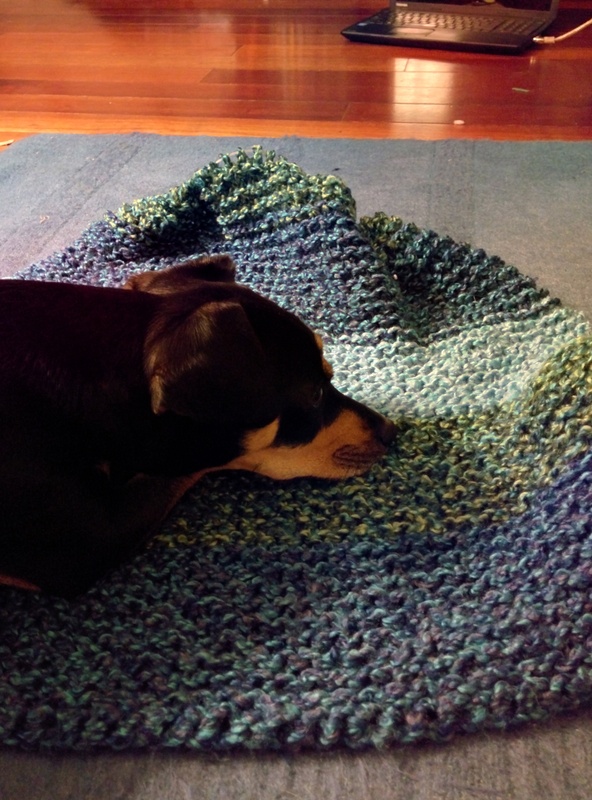 In fact, my own dogs unwillingness to part with this blanket is what inspired my next knit project. Bronson was sad to see it go. He really loved to snuggle with it. 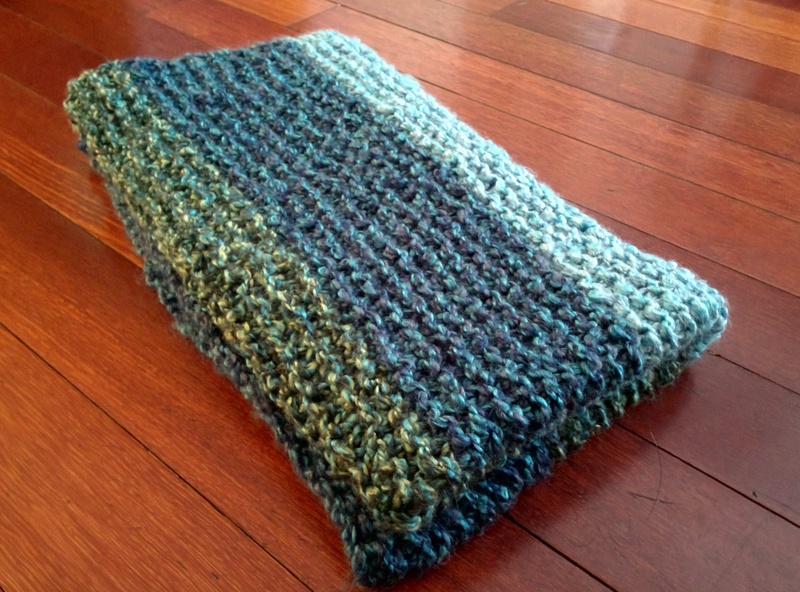 This was a super quick and easy knit. 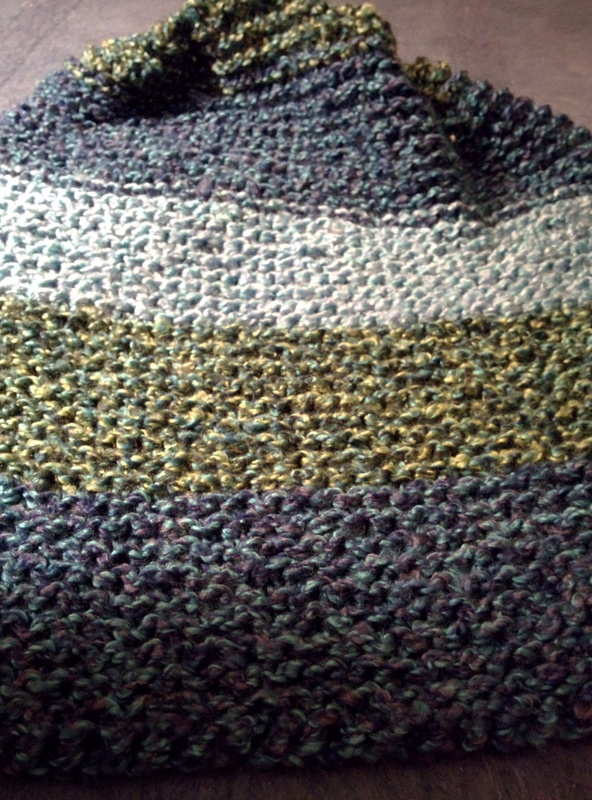 I managed to complete it in about a week and a half, only knitting occasionally in the evenings. I do wish that it had been a little bit larger. If I had more time, I probably would have added another 6 inches. I’ve also started using the magic knot technique which can be found here. If the pictures still leave you confused, I also have an additional video up on my Pinterest under the board all day I dream of knitting. This new technique has changed my life. Weaving in ends has always been the bane of my existence and with this new (to me) technique I can change colors as much as I want and still have very little loose ends. I’m super into color blocking, so this technique is priceless to me. 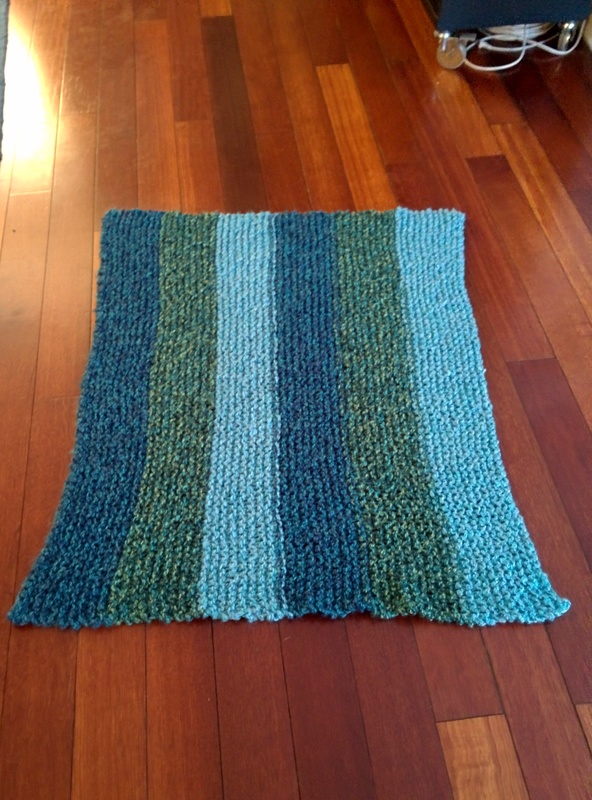 It was a fun knit, and I hope that little baby Logan loves it just as much as I loved making it for him!